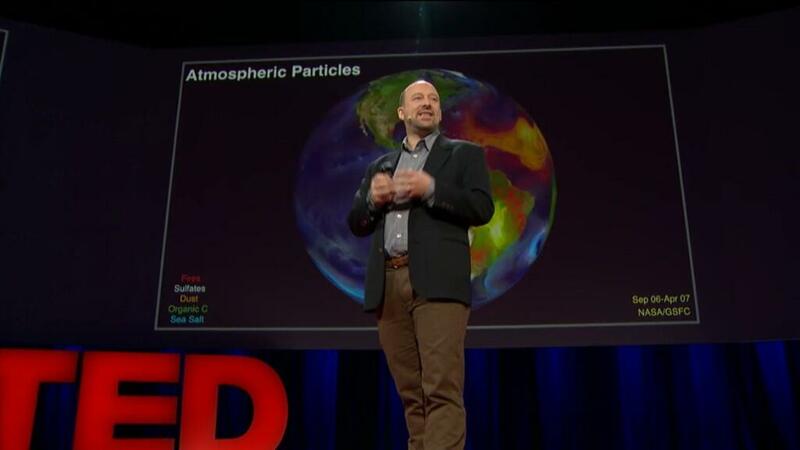 I gave a TED talk in 2014 on the emergent patterns of climate change. "Eating Salad with a Scientist" (YouTube). An illustrated conversation with me about science, advocacy and public communication. Comprendre le climat: un enjeux de notre siecle (FR) Presentation at the School of Mines, Albi France (May 2016). A talk on Chaos and the Climate at the NY Museum of Math (Oct 2015). I have appeared on a couple of recent documentaries by VICE media (HBO) and (mostly in Dutch) André op Aarde (NTR). Climate Forcings, Climate Models and Climate Change RSE Symposium, New Orleans, Oct 2009. A new kind of scientist. Commentary on interdisciplinary collaboration (with E. Moyer). Nature Reports Climate Change, Jul 2008. The Uncertainty in Climate Modeling, A conversation with Claudia Tebaldi, Leonard Smith and James Murphy. Bulletin of the Atomic Scientists, April 2008. Why Worry? The Threat of Abrupt Climate Change - Dec. 2004 eBriefing from the New York Academy of Science. Natural and Anthropogenic Drivers of Arctic Climate Change - Oct. 2003 Keynote presentation at SEARCH Open Science Meeting, Seattle. La fulgarante ascension de methane - Popular science article for La Recherche (English translation available). I am a contributing editor to the website RealClimate.org which tries to provide context and background on climate science issues that are often missing in popular media coverage (not an official NASA blog). 2018-04-16: We think we’re the first advanced earthlings—but how do we really know? "On Scientists and Advocacy" Science, April 2014. A review of "Beyond the Curve" by Joshua Howe. Sowing Seeds Of Doubt: How some scientists can twist the facts to suit ends other than scientific truth, Chemical and Engineering News, Jan 2011. A review of "The Merchants of Doubt" by Naomi Oreskes and Eric Conway. "Using paleo-climate model/data comparisons to constrain future projections" workshop. Information can be found at the CLIVAR/PAGES workshop website. (Information related to the CMEP conference on analysis of the CMIP5 simulations is available here). "First International workshop on Climate Informatics" was held in August 2011 at the New York Academy of Sciences. Information and presentations can be found on the workshop Google pages. "The Leverhulme Climate Symposium 2008 - Earth’s Climate: Past, Present and Future", workshop report Improving future climate prediction using palaeoclimate data by Henderson et al. (2009). 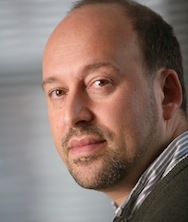 Twitter: @ClimateOfGavin (note this is not an offical NASA account). *Please note that emails sent to government addresses may be subject to disclosure under FOIA and that you should have no expectation of privacy. If you want to contact me in a non-official capacity, please do so via my columbia email. (Replace the -at- with the @ sign).